Hello everyone, this past week at BIO, among many other things going on, we finished our standardized sampling at rare Charitable Research Reserve. 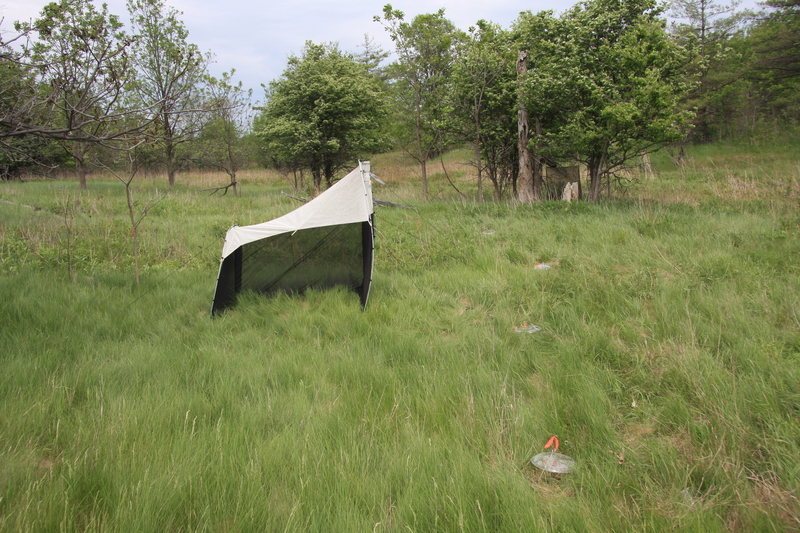 This was our second sampling event since we had previously sampled the same sites at rare in the late spring. You are able to compare the species present at different times of the year by sampling the same sites twice. Like many animals, the presence of insects is influenced by the time of year, weather, and habitat. We sampled the same or constant habitat; therefore the differences in the diversity of insects would be due to seasonal changes. This was clearly present as we were servicing the sites and looking through some of the traps. 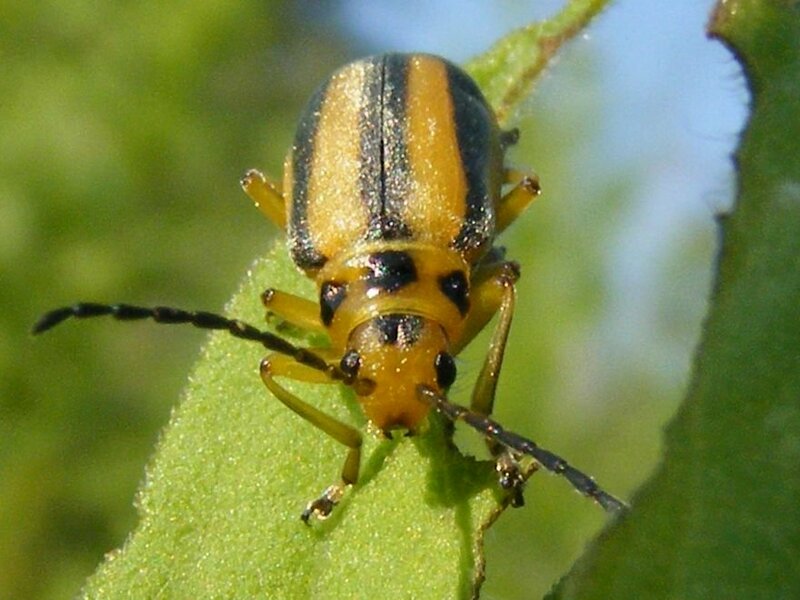 One beetle that was not seen in the first sampling event, but was seen everywhere during the second sampling event was the Goldenrod Leaf Beetle (Trirhabda canadensis). They were extremely abundant on Goldenrod and were also on Milkweed. While aspirating our sweep nets, Dan and I were over-burdened with these friendly beetles. We each had hundreds in our nets and we had them crawling from the grass all over our bodies while we were sitting down. Like the common name of this beetle suggests, they feed on Goldenrods. While checking one of our sites at rare I also found a gypsy moth (Lymantria spp.) caterpillar on a tree. The gypsy moth was introduced to America around 1860s and has expanded its new distribution throughout parts of North America. The gypsy moth is considered a pest species as it defoliates its host trees, which are mostly hardwood trees. Populations sometimes reach outbreak levels where their abundance increases drastically due to local conditions. This causes severe damage to host trees as the caterpillar usually only eats holes or parts of the leaves but during an outbreak population cycle entire trees are defoliated and leaves stripped to their skeletons. To protect your trees and to help prevent outbreak population levels ensure that your trees are healthy. Water during dry spells, check bands of burlap or plastic at the base of the tree as the caterpillars like to retreat there, remove egg masses, scrape any caterpillars into a container with soapy water, and you can also call the toll free invading species hotline, where you can report any sightings. 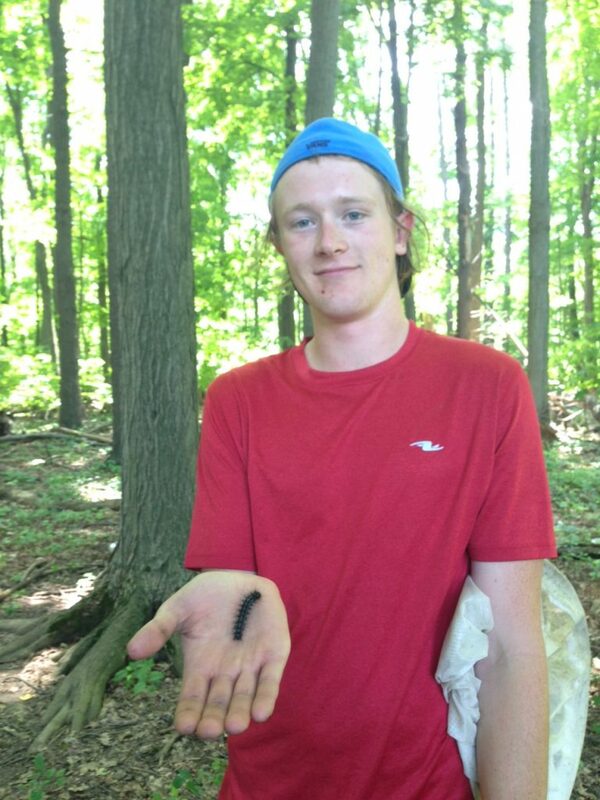 This is a photo of me holding a gypsy moth caterpillar. This photo was taken at the forest site at rare Charitable Research Reserve. We were also lucky to have some new friends that are visiting from France join us at rare to service and sweep net our sites. There was five of us working in the field that day so we took turns aspirating and worked together to quickly empty our sweep nets. There was an insane abundance of beetles and hoppers again, especially the Goldenrod Leaf Beetle as mentioned before. 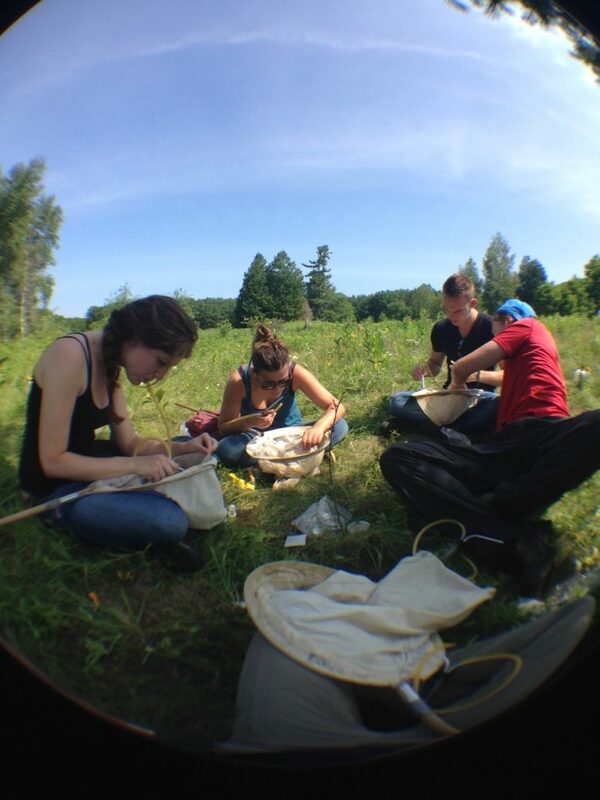 In this photo, we are all aspirating at one of our grassland sites at rare. From left to right: Shannon, Anais, Thibault, and myself. Thanushi kindly took the photo for us. For the past few weeks I’ve been fortunate enough to start exploring the insect biodiversity of Canada’s largest privately owned nature conservancy: Darkwoods. 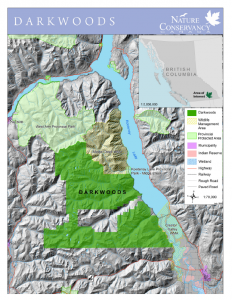 Owned by the Nature Conservancy of Canada (NCC), Darkwoods is a 136,000-acre tract of land located near Salmo, British Columbia in the heart of the Selkirk mountain range. A map of the Darkwoods lands courtesy of the NCC. 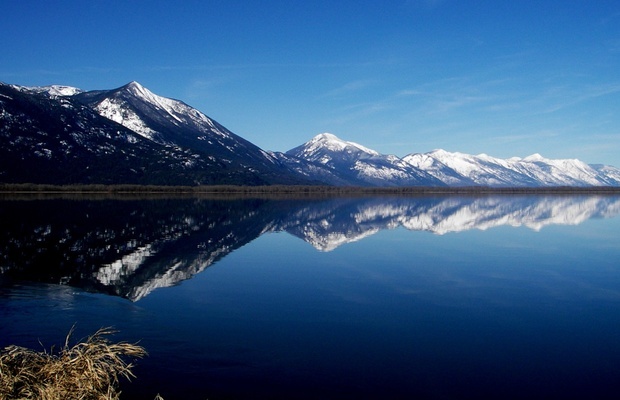 With public access only available by permit, Darkwoods Conservancy has been able to protect a network of pristine lakes, watersheds, meadows, and rare old-growth forests. Given the biological richness of the area, it’s of no great surprise that the first out of the three sites sampled by the 2014 BIObus trip has provided us with more than 8,600 specimens! Along with an abundance of arthropods, Darkwoods is a safe haven for 19 confirmed species at risk. Interestingly, among the list of threatened species that includes grizzly bears, bull trout and western screech owls, Darkwoods is home to one of the last 15 surviving herds of mountain caribou. Although commonly known as mountain caribou, these noble animals are actually a type of woodland caribou that have adapted to the snowy mountain forests of British Columbia. Unfortunately, mountain caribou populations have dropped dramatically from about 2,200 individuals in the late 1990’s to approximately 1,900 in 2008 due to predation, habitat fragmentation and loss of the old-growth forests. 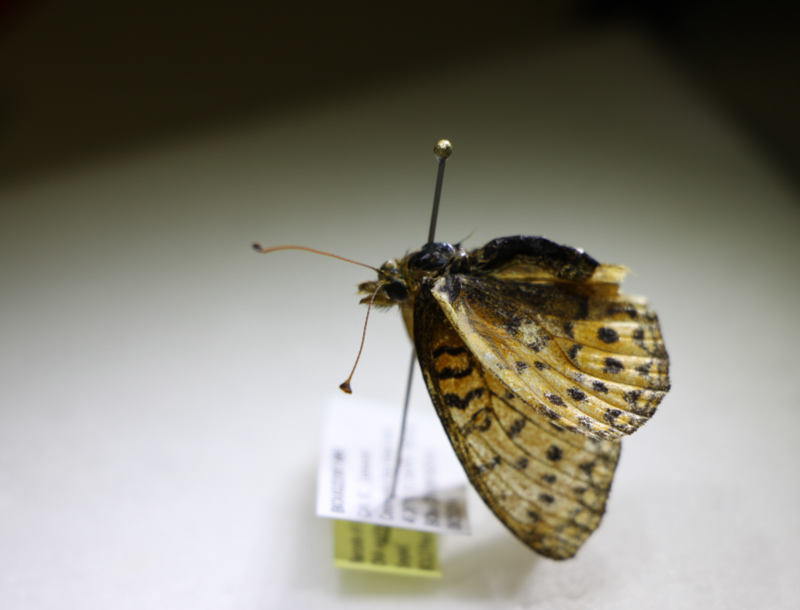 Active conservation efforts in areas like Darkwoods are giving this unique species a chance to come back. A colourful Lepidopteran found in one of the traps. The history of Darkwoods is just as fascinating as its wild inhabitants. Originally held by First Nations groups, primarily the Ktunaxa, the Darkwoods lands began to change hands in 1897 from the Crown to the Nelson & Sheppard Railway to six different resource companies. Around 1967 a German duke named Friedrich von Württemberg took an interest in the property. Purchasing it for his sustainable forestry company Pluto Darkwoods, the duke became quite attached to the area visiting it every summer. Concerned for the health of the forest, the duke – despite the nature of his trade – tried to reduce the impact of their timber harvest. This allowed Darkwoods to retain many of the old-growth forests that exist today. In 2008, the duke made the decision to sell Darkwoods to a buyer that would respect the lands and keep them from being subdivided. This buyer ended up being the NCC resulting in the largest purchase of private land for conservation in Canadian history! 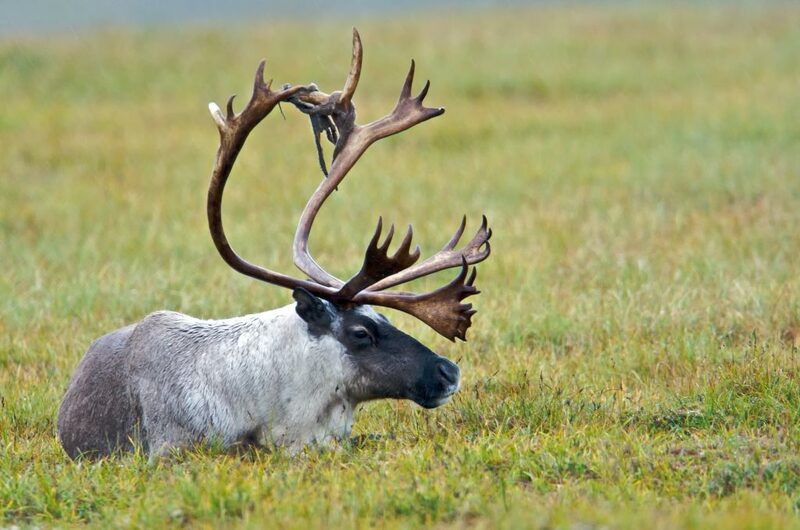 An adult caribou enjoying a lazy afternoon. Caribou by the Bering Land Bridge National Preserve. Some rights reserved. 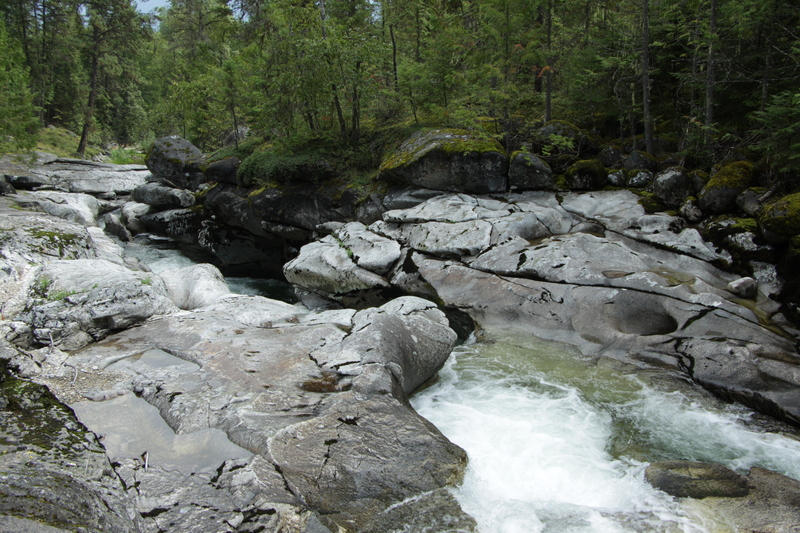 Anyway, I hope this piqued your interest in the beautiful parks of British Columbia. To find out more about the conservation efforts of the NCC, visit their website at http://www.natureconservancy.ca/en/. 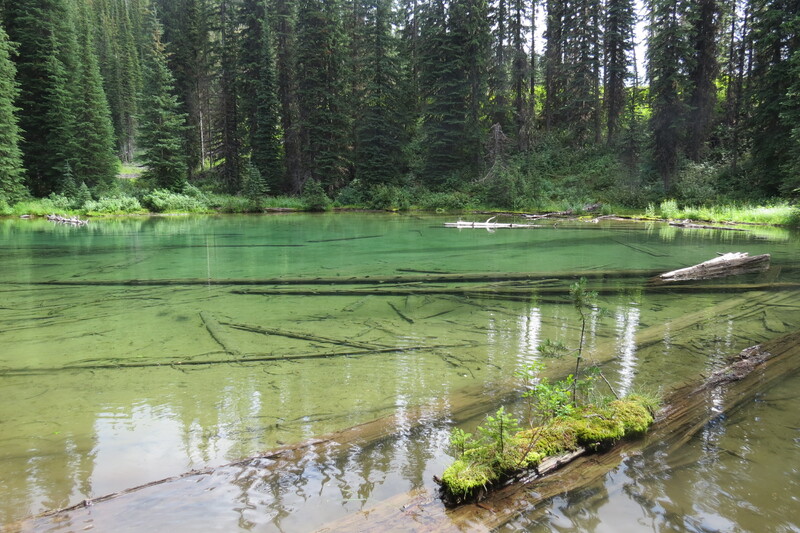 The crystalline turquoise waters of one of the many Darkwoods watersheds.